You are going to Watch Dragon Ball Super Episode 14 English subbed online free episodes with HQ / high quality. Stream Anime Dragon Ball Super Episode 14 Online English sub This Is the Last Bit of my Power! Conclusion to the Battle of Gods! Now with only a Super Saiyan form at his disposal, Goku powers up and attacks but to no avail as Beerus knocks him out effortlessly. 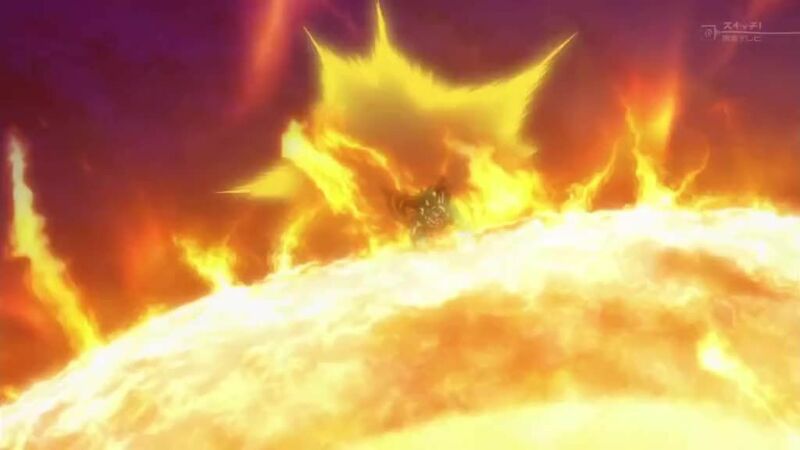 With Goku knocked out, Beerus prepares to destroy Earth. In a final effort to stop Beerus, Goku once again powers up and charges his Kamehameha attack. Goku manages to prevent Beerus’ attack, but he completely depletes what was left of his energy in the process. He comes crashing down to Earth onto Bulma’s ship, where Vegeta manages to catch him. Beerus lands on the planet shortly after to finish what he started, but he suddenly falls asleep. Whis explains that Goku must have tired Beerus out and that by the time he wakes up he will have forgotten about their trip to Earth. Beerus, who was faking his sudden sleep because humanity’s food convinced him to spare the planet, and Whis leave for Beerus’ planet shortly after. With Earth safe again, Goku decides to relax and enjoy the party.